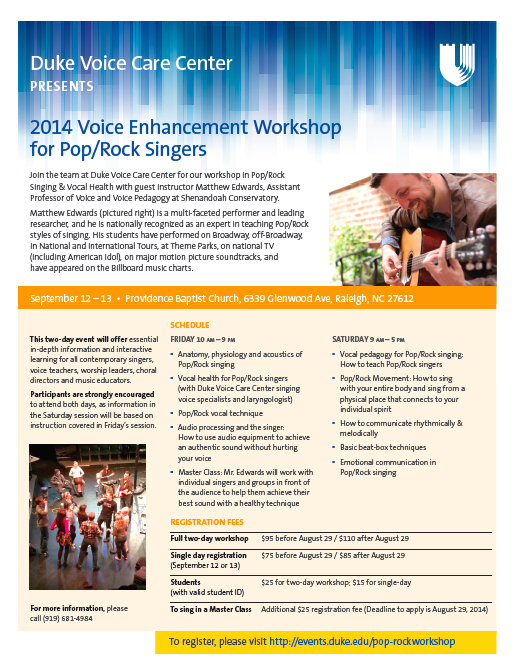 If you are near Raleigh, NC, come check out my workshop sponsored by the Duke Voice Care Center September 12th and 13th! There will be information for both singers and teachers that is applicable to singing in a band as well as auditioning for pop/rock musicals. Would love to see you there!